The united-front coalition campaigns of Spanish left parties Podemos and Izquierda Unida (IU) with regional activist groups and movements in upcoming Dec. 20 general elections could pit the parties against each other when seats in the national congress are apportioned out after the election. 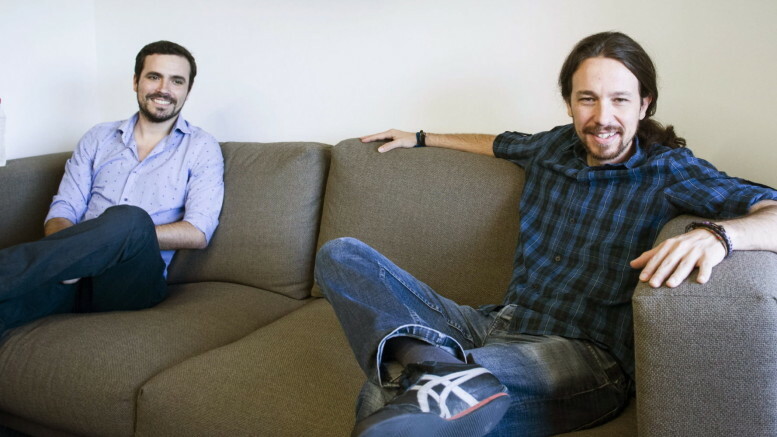 Earlier this year, Podemos leader Pablo Iglesias and IU leader Alberto Garzón ruled out a nationwide united-left coalition for the general elections. But, the parties are participating in the Dec. 20 elections coalitions formed with other local activist groups in both the Spanish regions of Catalonia and Galicia. While the unity strategy may work for the regional coalitions and parties at the ballot box, Podemos or IU candidates standing as representatives of the coalitions will have to choose whether or not they wish to participate within the voting caucus representing the coalition or the caucus of their respective parties. Regulations governing the formation of voting caucuses within Spain’s Congress prohibit any member of congress from participating in more than one caucus, leading analysts to predict tension between the two parties as the caucuses are formed.